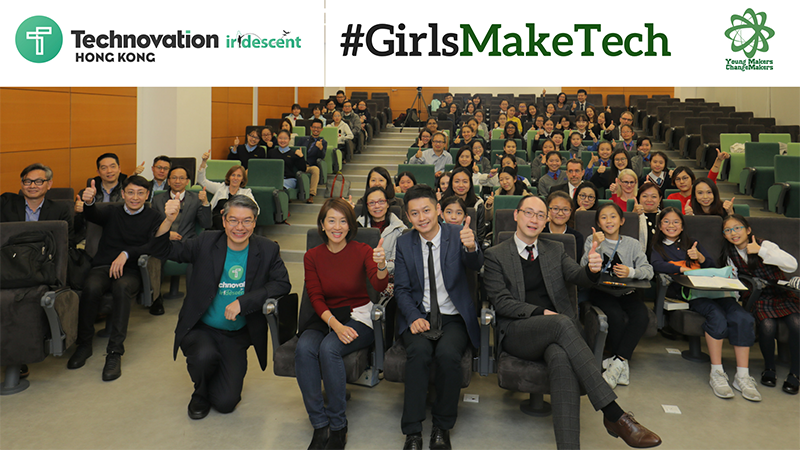 On January 26, 2018, MIT AppInventor Master Trainers, Ringo Lee and Emile Wong, joined the launch of #GirlsMakeTech Hong Kong in support of the Technovation 2018 launch held at Hong Kong University. 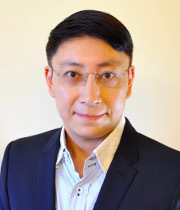 The initiative is led by Young Makers & ChangeMakers, an inclusive platform and community fostering young maker mindsets and STEM (science, technology, engineering and mathematics) skills, in collaboration with the public sector (such as Hong Kong SAR Education Bureau and Innovation and Technology Bureau) and private sector (such as Alibaba Entrepreneurs Fund, Cyberport and Google HK Office). Last year, two teams of Hong Kong girls attended the Technovation World Pitch Summit in Silicon Valley and one of the teams won the Grand Prize (Junior Division) at Google's Mountain View headquarters with their Dementia Care Companion app made with MIT App Inventor. Ringo and Emile will be assisting Young Makers & ChangeMakers with its #GirlsMakeTech Train the Trainers program of App Inventor to support Hong Kong Technovation girls this year.